Yes, I know I said that the list of top 20 songs was going to be my final look back at 2011, but I can’t help it. For a variety of reasons, these days I find myself sitting at home a lot longer than usual, as a result of which I’ve had the time to make these lists. So, if you’re already sick of my lists, I’m truly sorry to bother you with another one, but bear with me, because this will be worth your time. On the other hand, if you happened to enjoy my other lists, thank you for coming back, and consider this an encore. This time I’ve decided to focus on the first thing you see when you check out an album at your favorite record store: its cover artwork. So here are my picks for the top 20 album covers of the year, in order from #20 to #1. In order to avoid making this article cumbersome on your browser, I’ve divided it into separate pages for each list entry, and also kept the image sizes to 500 X 500. Please find the page numbers below the social network share buttons. #20. 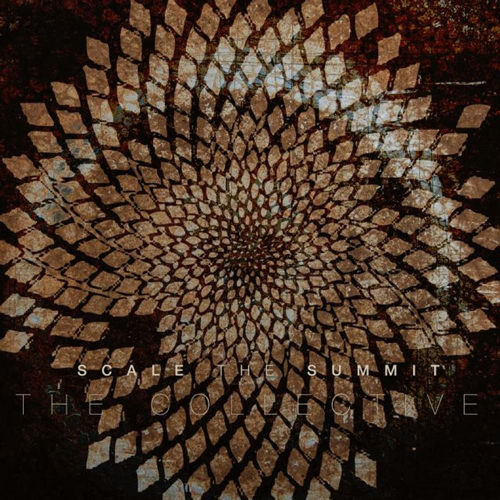 Scale The Summit – The Collective: Based on phyllotaxis circles, the cover not only represents the album title, but also signifies the band’s musical style, skill level and thought process. Very well done.